LISTEN TO THE EXCLUSIVE ANTICIPATIONS FROM THE BOOK! It wasn't a butterfly in Beijing that caused the storm that has struck a Singapore based match fixing syndicate. It was rather a reckless goalkeeper in an Italian Third Division Team. On November 10th 2010, Cremonese and Paganese played against each other at the Zini Stadium in Cremona. At the end of the first half the home team was ahead by two goals and seemed in total control. But once Cremonese stepped onto the field in the second 45, they looked as if they had been struck by dizziness and confusion. Ivan Ghigi is a sports reporter for the local La Provincia newspaper. He recalls that day: "The players came back on the pitch and looked lost. Their reflexes had slowed down and so had their movements. The easiest things seemed extremely complicated". After talking to the team's doctor, Ghigi immediately published an article stating that a mysterious illness had hit some of the Cremonese players. At the end of the game, Cremonese's team manager decided to report the incident to police. Different hypothesis were made: the revenge of a former employee, faulty air conditioning, expired drinks and food. But when the blood tests on four staffers, including three players, revealed the traces of Lormetazepan, a potent sedative, the story took another twist. Investigators began looking into the Cremonese squad. They wiretapped the players' phone calls and searched into their private life. 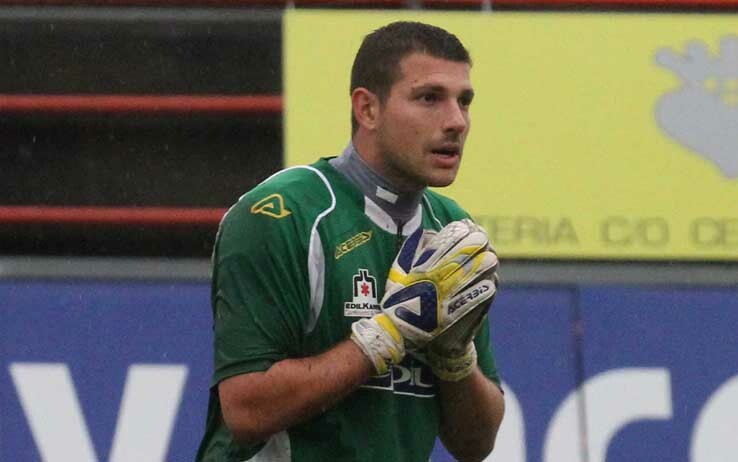 Police focused their attention on the team's goalkeeper, Marco Paoloni. Paoloni, aged 28, had been at Cremonese for two seasons. Teams in the upper leagues were monitoring him for a potential contract. Investigations also revealed Marco Paoloni was a gambler, albeit with little or no luck. Phone calls showed Paoloni owed money to a heterogeneous group of Italian betters: a dentist from Ancona, a former footballer from Bari, the owner of a Betting agency from Pescara and so forth. These people wanted their money back and they wanted it now. Marco Paoloni had promised he would fix some of his team's matches so that the group could make up for the money owed. All they needed to do was bet their money on a definite result. After all, Paoloni had already fixed matches in the past. During a game with La Spezia in October 2010, with only a few minutes left to play and with his team leading, Marco Paoloni intentionally avoided picking up a loose ball at the edge of the drop box. The opponent's attacker had the time to approach the goalie, steal the loose ball and serve it to a team mate standing in front of the empty goal to score the last minute equalizer. A few minutes later Paoloni would add to his performance by being red-carded for hitting the referee in the face. We made telephone contact with Marco Paoloni. He demanded money to be interviewed and we declined. Other colleagues have abided to his request. Paoloni had stated that he was willing to tell us everything we wanted to hear. The Cremona court papers claim that Marco Paoloni didn't only fake his own performances on the field. He also approached other players in other teams - or so he claims - to fix games he was not directly involved in. He basically acted as an agent and his creditors were his financiers. Their role was to provide both corruption money and the cash to bet on the rigged outcome. And if this is the basic mechanism around which match fixing revolves - corrupt players, so called agents, financiers/gamblers - Italian police found out to their dismay how extended corruption in Italian football was and still is. On June 1st, 2011, investigators carried out a wave of arrests. A total of 44 people was put either under arrest and brought to jail or indicted for match fixing. Antonio Bellavista, former captain of the Bari football club, was top of the list among those incarcerated. He is accused of match fixing, of approaching players, offering them money and then betting on the rigged outcome of the games. We met him at his football school in Bitonto, in Italy's deep south. Around a few synthetic five-to-side football pitches, Bellavista described the financiers' price list for fixed games depending on the league they were played in. "From 40 to 80 thousand euro for a Lega Pro match (Italian Third Division), from 60 to 120 thousand for a Serie B game and 250 to 400 thousand euro for Seria A matches", Bellavista says. Bellavista was also in touch with a group of foreigners - mainly from Eastern Europe and the Balkans - whom police noticed had also been involved in match fixing in Italy. They were labelled The Gypsies. Investigators realized the group was staying in the same hotels where teams slept on the eve of the matches. They also discovered that the group would show up in these hotels with the cash to bribe players. But there was more to it. Among the so called Gypsies is a now-fugitive former FC Chiasso player, Almir Gegic. We found out FC Chiasso, a small Swiss Second Division team, had been linked to Singaporean match fixers as early as 2008. 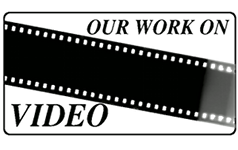 During that season, one of the team's sponsors was a company called Stanton Technologies. Among its directors is a man called Eswaramoorthy Pillay. Former goalkeeper of the Singapore national team, Pillay has been convicted for match fixing in the past. Eswaramoorthy Pillay is a name to keep in mind. He will help us understand how the Singapore network infiltrated European leagues. We contacted Marco Grassi, then president of FC Chiasso, who confirmed that indeed there was a deal with Stanton. But he also stated that the promised funds never reached his team. The so called Gypsies were in continuous contact with Singapore. Their agents would exchange phone calls in the days preceding the games that the organization had decided to fix. People in the Lion city would decide how much the corrupt players would be paid and who would carry the cash for the bribes. In the hours before the games and during the matches, conversations would focus on the agreed/bribed result. 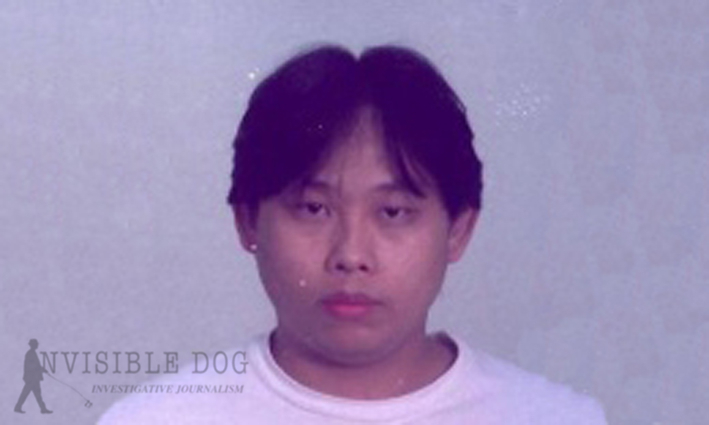 Italian police identified one of the men on the other end of the line as Tan Seet Eng, aka Dan Tan, born in Singapore on April 29 1964. 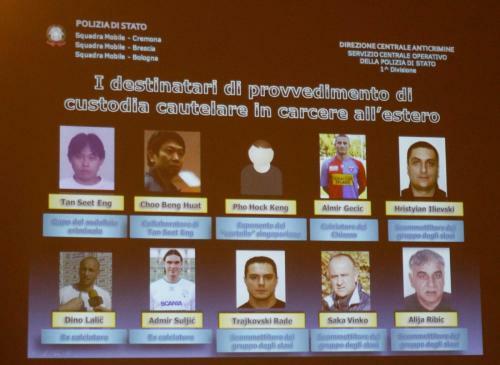 Police evidence shows how Dan Tan had been traveling to Italy as early as October 2009. At that time Tan Seet Eng was stopped at the border control post of Gorizia “Casa Rossa” between Italy and Slovenia. In the car with him were three of the so-called Gypsies (one Bulgarian and two Slovenians) and another Singaporean called Choo Beng Huat. Italian police believe Choo Beng Huat was a money courier working for Tan Seet Eng. Authorities recorded 16 trips to Italy by Choo Beng Huat between 2009 and 2011. During his last stay in Milan - a mere 6 and a half hours before boarding the plane back to the Lion City - in November 2011, Choo Beng Huat met with another member of the syndicate in the Airport's Sheraton Hotel. On departure his luggage weighed a kilo less than on arrival. Was this the weight of the cash carried? Marco Garofalo, investigator at Italy's SCO (Servizio Centrale Operativo), is sure about what happened that day. "Choo Beng Huat carried money he exchanged with a Hungarian member of the syndicate. The organization revolves around match fixing. 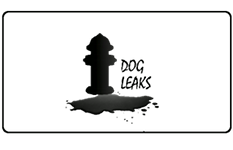 Their aim is to achieve sure results on which the syndicate can place bets, mainly Asian gambling sites. The boss of the organization is Tan Seet Eng. His role is to coordinate the group's activities, to choose which teams to bribe, to send the cash through couriers and to place the bets for the group". In December 2011 Italian police issued an international arrest warrant in Tan Seet Eng's name and indicted him for match-fixing together with the Gypsies. 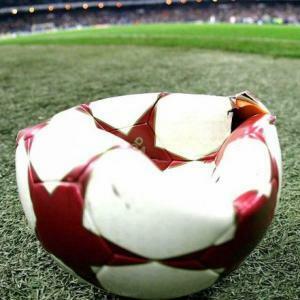 The first traces of the Singapore match-fixing syndicate headed by Dan Tan have surfaced in the year 2005, in the German town of Bochum. Local prosecutor Andreas Bachmann had begun an investigation on a red-light district prostitution ring that would launder its dirty money through betting agencies. Just like Italian prosecutors, he soon realized that he had stumbled on an international match-fixing network. To date over 323 people have been investigated and over 340 sports events have been put under the spotlight of German prosecutors. Bachmann has found the tail of the Singapore snake in First and Second Division games in Germany, Austria, Switzerland, Canada, Hungary and in several other European countries. Even though the full list of games has never been made public, fixed games include Champions League, Europa League, World Cup qualifiers and international friendlies. In one case the organization had actually managed to purchase a Belgian Second Division Team, UR Namur. It is important to note that while different agents and "branches" operated in different countries, the head of the group was once again identified as being Tan Seet Eng. "To coordinate the different European investigation we created a unique working group in which we would share information. According to our findings, the different groups across Europe are inter-linked. And above them sits the Singapore group. It has been operating in Europe since 2007-2008 and they are still active in 2012", states Andreas Bachmann. There is yet another twist to this story. 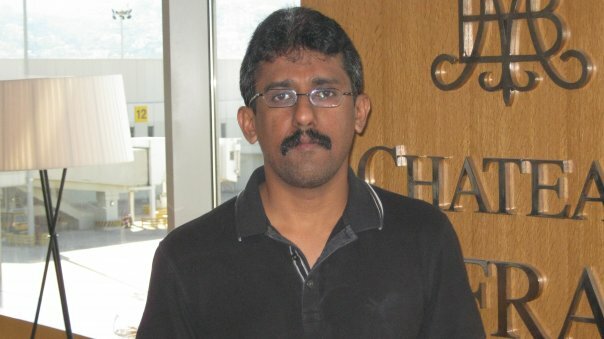 In February 2011 border authorities in Finland stopped a Singaporean named Raja Morgan Chelliah whom they suspected, based on a tip from an informer, was traveling on a false passport. 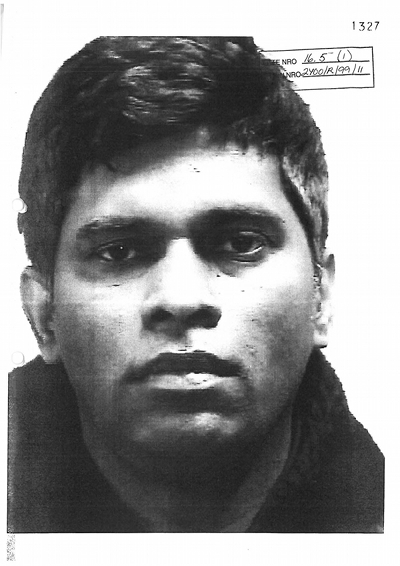 Exchange of information with authorities in the Lion City and finger prints confirmed the true identity of the man: Wilson Raj Perumal. Perumal's laptop and mobile phone were confiscated and examined. The contacts in his mobile spanned worldwide. Police also found out how the Singaporean had manipulated players, matches and even football clubs in Finland. But His masterpiece was the small club of Rops in Rovaniemi, the town of Santa Claus where elves and reindeers walk hand in hand. Wilson Raj Perumal had managed to bribe and control 9 players from the team's line-up, 7 of whom were from Zambia. The Zambian connection was secured through the services of a former Rops striker and legend, Eddy Saileti. Saileti had set up Rops Academies in Zambia and had provided fresh talent for the squad. At least 7 Zambians had been signed to play in the Finnish club. In exchange, the players would agree to their patron's requests i.e. to fix some of the games in exchange for money. The Rops players had come into contact with Perumal through another Singaporean whom they first met on Facebook. His FB nick was Simon Megadiamond. At the end of the 2009 season Megadiamond and Perumal had landed in Rovaniemi to meet with the squad. In the following months they would provide the basis for the fixing of several Rops matches. Why fix matches in Finland? Because Finland is one of the few places where football is played in the summertime. When Wilson Raj Perumal was arrested in February 2011 he immediately confessed to match-fixing. Realizing he had been framed by another member of the match-fixing syndicate, Perumal went a step further. He exposed the structure of the syndicate, revealed the different levels, exposed its inner mechanism and made names. Jukka Lakkala, chief inspector of the Finnish Bureau of Investigations (NBI) that lead the probe, has obtained from Wilson Raj Perumal a sketch depicting the structure of the match-fixing syndicate. "The organization is structured just like a firm. There is the boss at the top, from Singapore, who decides which matches to fix, how much to pay for bribes, where to send his couriers and agents and where to place the bets. The betting mainly takes place in China. Below the boss are six shareholders from Bulgaria, Slovenia (two), Croatia, Hungary and Singapore. Perumal admits to being one of the group's shareholders". Wilson Raj Perumal has been collaborating with European police and exposing the different branches of the syndicate operating below each shareholder. He has also revealed how much the organizations gains from each fixed match: anywhere from a few hundred thousand euros to 15-20 million, depending on the league the game is played in. Perumal has also named the alleged big boss: Tan Seet Eng. Once again. Singapore is one of the world's top financial centers, home to off-shore companies and low cost technological innovation. But for football governing body FIFA, the lion city is also the "world's match fixing academy" and home of the Kelong Kings, as the local media have dubbed the syndicate. In our search for the Kelong Kings, we first met with Mohamed, a local investigative reporter who has been covering the match-fixing syndicate extensively. After all, 25 out of 60 countries where FIFA is investigating match-fixing see the presence of a Singaporean in the scam. Mohamed began his quest when his editor asked him to look into a game between the Bahrain and Togo national teams in September 2010. The Bahrain FA had organized an international friendly match through a company called Football 4 U, whose agent was Wilson Raj Perumal. But instead of facing the true Togo team - at that time playing elsewhere - Perumal had paid a former coach of the Togolese national team to provide him with a fake line-up. The syndicate probably won money from the 3-0 defeat by the fake Togo team. But when the Bahrain FA reported the incident to FIFA, Wilson Raj Perumal (who had an official FIFA agent license) was already on the run. Perumal had been convicted in Singapore to 5 years in prison for running over an auxiliary policeman with his car and had decided to flee from the country. "Perumal acted very much like a salesman. He would go to his boss and he might say: I've got this game to fix, but I need X amount of money for the fix. Now you can see how significant this Wilson Raj Perumal is because he names other people, other syndicates, other european eastern block countries which are involved in global match fixing", says Mohamed. The next step is to find Perumal's employee in Finland, who first made contact with the Rops players, the man named Simon Megadiamond. We found out that his real name is Meganathan Subramaniam and that he is a taxi driver. At his home address in Sembawang, Singapore, we found two individuals who agreed to share his mobile phone number with us. We called him and he agreed to meet us on the following day. We were told to wait at the McDonald's restaurant in the budget terminal of the Singapore airport. After a short wait, Simon called us, saying we should cross the street and enter the airport's parking lot. Once there, a car stopped next tu us, swinging the door open. We hopped in the car and off we drove for our interview. Simon is a tall and slender Indian man with a mustache. At the time Wilson Raj Perumal employed him - they had known each other for over a decade - he was jobless. According to Simon, Wilson Raj Perumal had told him that all he needed was a computer and a telephone. Simon contacted the Rops players via Facebook and promised them that he would get them contracts in Asia. But after flying to Rovaniemi with Wilson things changed. Simon claims that Rops players began asking him for money for fixed matches and that's when he decided to quit his job and return to Singapore. "Wilson did not let me know that I am being used, he says so, but when all these things came I received close to 8000 from him for the players that I introduced because he said he had plans for them so he paid in brace, 2500-2000 as in men and he told me that it covers" says Simon who denies being involved in match-fixing. The Finnish Court papers tell another story. Simon Megadiamond is accused by Rops players of actively fixing dozens of matches and for paying them after each fix. Simon is considered to be the first Singaporean match-fixer to land in Finland. We then went to look for the man identified by Italian authorities as the organization's money courier: Choo Beng Huat. His registered work place was a hairdresser inside a luxurious mall. Once we got there we were told he didn't work there anymore. When we asked for his phone number they changed their mind and they replied that they had never heard of his name. "When i spoke to Choo Beng Huat, I don't know whether it's the same person or not, this person claims he's never been to Italy at all. And then later he says, yeah yeah, I may have been to Italy once, to visit my sister", says Mohamed, the Singaporean investigative journalist. Cremona court papers say that Choo Beng Huat flew to Italy at least 16 times between 2009 and 2011. Choo Beng Huat works for the syndicate's boss, Tan Seet Eng. Dan Tan also lives in Singapore. This is how Mohamed describes him: "To most European football enthusiasts I guess he is the cartel boss of one asian match fixing syndicate. Well if you look at it, as every Singaporean, he lives in a condo, has legitimate businesses, drives a Bmw car, one or two, he's a family man". Tan Seet Eng lives in a not-so-luxurious condo in a residential part of Singapore. A few tall concrete buildings, a swimming pool and a few Indian security guards to secure the perimeter where the alleged Kelong King lives. We approached the gate and told the security guards that we had a rendez-vous by the pool with a Mr. Chen or Keng. They made us sign the guest register and told us to wait by the pool. We quickly moved inside the complex and went looking for his door. We rang the door-bell but nobody was at the home. We thus left the condo and waited outside for a few hours. At the sight of his BMW entering the gate we decided to try our luck again. We walked up to his door and rang the door-bell again. This time we saw that someone was observing us from the peephole, yet there was no answer. After a few minutes the security guards showed up, telling us that Mr. Eng was overseas and asking us to leave the premises. We then tried to call Tan Seet Eng's home number. A man replied and denied knowing or being Dan Tan. A source that has spoken to Dan Tan has said to us that it was the voice of the Kelong King himself. With two international arrest warrants from Italy and Hungary in his name, Tan Seet Eng is still a free man in Singapore. Local authorities have not signed extradition treaties with Europe and so the warrant is at a dead end.